hello maybe i could get a cheap baretta special but i doesn't have info to replace some parts. i like to replace nut, with graphtech nut, but i dont know which black tusq would fit well. someone could help me, please? I am not familiar with the nut you are referring to, but I do know that an R3 nut is correct when installing a Floyd Rose trem on a Baretta Special. Maybe you could compare the specs between the two and help answer your question. marsmountain wrote: I am not familiar with the nut you are referring to, but I do know that an R3 nut is correct when installing a Floyd Rose trem on a Baretta Special. Maybe you could compare the specs between the two and help answer your question. oh thank you, nice work with your gear! maybe do you have factory nut to measure dimensions? Floyd Rose has any measures on the website. KickstartMyHeart wrote: Floyd Rose has any measures on the website. 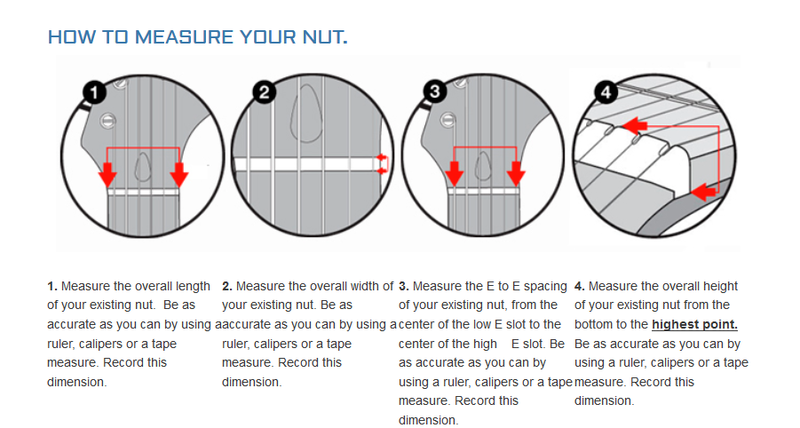 I don't have the specs for the nut, but you can measure it once you got it. Make sure to get one which is a bit too wide and too high, so you can trim it to size. The most important part is the correct string spacing and radius. I'd suspect you can use a Les Paul nut from Graphtech, which has the spacing like an R3 floyd nut and the correct 12" radius. _xxx_ wrote: I don't have the specs for the nut, but you can measure it once you got it. Make sure to get one which is a bit too wide and too high, so you can trim it to size. The most important part is the correct string spacing and radius. I'd suspect you can use a Les Paul nut from Graphtech, which has the spacing like an R3 floyd nut and the correct 12" radius. i was thinking total length would be about 1.69"
That would be R3 width (~43mm). Then you only have to decide which spacing you want, wide (like Gibson) or narrow (lke Epi). _xxx_ wrote: That would be R3 width (~43mm). Then you only have to decide which spacing you want, wide (like Gibson) or narrow (lke Epi). 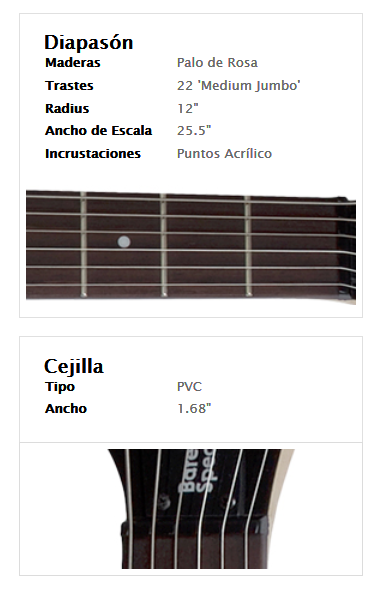 i really don't know, because always use Ibanez RG and Bc.Rich..
R3 is 1.6875" or 1-11/16".